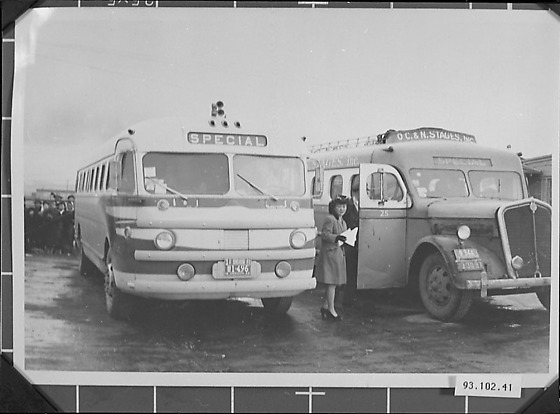 2 buses, a woman standing between prepares to board one of the buses. A sign on one of the buses reads: "Special". A lady departs from the camp. She was one of the secretaries working for Jack and left camp earlier than him.